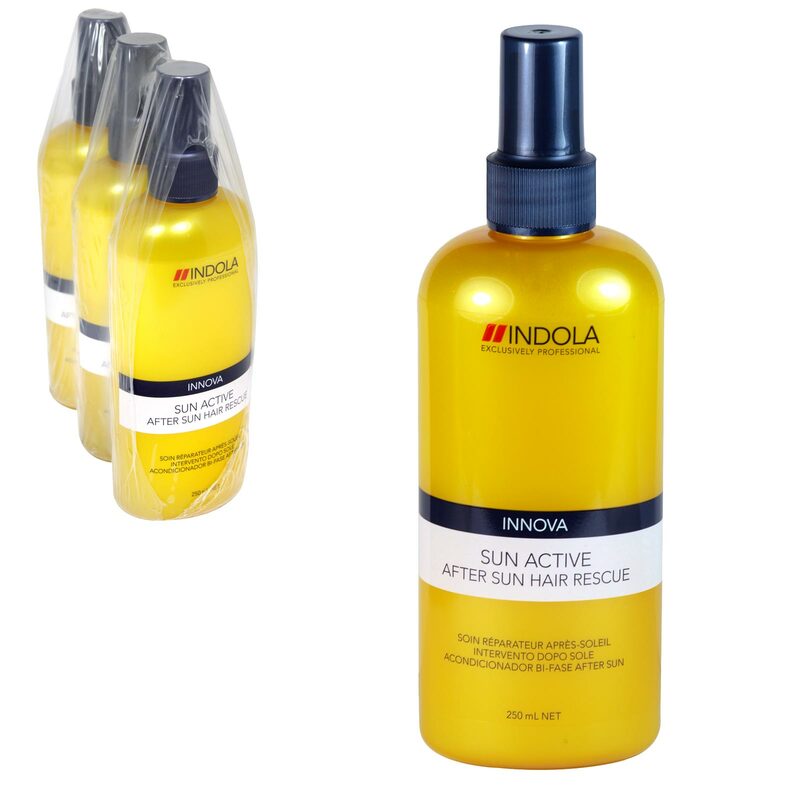 Indola Sun Active After Sun Hair Rescue prevents up to 80% of split ends and breakage. This spray relaxes and refreshes hair from UV radiation. Can be used daily for silky, shiny, hydrated and healthy hair.